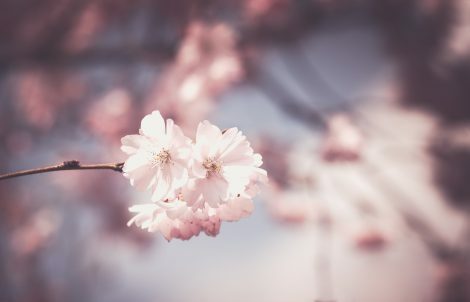 Spring is officially here – the time of year where we can start putting away our winter coats and boots and get excited for warm weather, sunshine, and being outside. Spring is also the time of year that allows us to take inventory of the old, polish it up, sweep it out, and dust it off. This same concept of “spring cleaning” should apply to your business as well – and most importantly your website. When was the last time you really did an overhaul of your site? 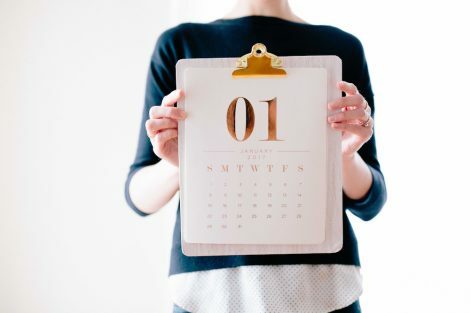 If it’s been awhile, now is the perfect time and we’ve compiled a list of things to focus on first to get you started! Make a conscious effort to do a truly comprehensive content clean up. This can range from something as simple as going through your portfolios and galleries and deleting older photos, adding new work, or moving images around, to actually digging in to your analytics and seeing which pages get the least amount of traffic and editing from there. Website design trends are moving toward cleaner, simplistic, and clutter-free – so really evaluate whether each page of your website is absolutely necessary and providing value to your audience. One of the things we see all too often is event pages that are far outdated – even by a few years. Take the opportunity to make sure your website is updated with your upcoming workshops, speaking engagements, photo expeditions, or any other important events you’re partaking in. Nothing looks more unprofessional than inaccurate information on your website – plus, this will be a great way to promote the events you care about and hopefully garner more attendees. One thing we’ve often noticed that’s missing from photography websites are clear calls to action. While most of the focus should be on your imagery, you also want to make sure you’re telling your audience what you want them to do. Whether that’s booking you for a job, project, ad campaign, or even buying prints, tell them what you’d like them to do and make it easy for them to do it. Having a button on your pages can be an ideal way to lead customers to your end-goal: contacting you! 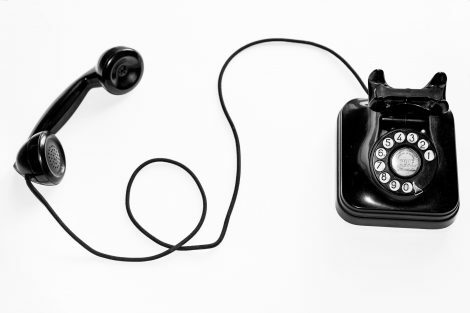 If you’ve recently moved your studio or changed your contact phone number, it may be time to look over your contact page. Is your new contact information up-to-date? It can become easy to overlook this simple step, but doing so may cause you to lose a great deal of clients! Also, try to have your contact information readily available in multiple locations on your website. Customers don’t want to search through countless pages to find your phone number or address. Remember – adding a map to your pages can be an ideal way to attract new customers! Search Engine Optimization (SEO) should be something you focus on all year ’round, but if it’s not your strong suit definitely take the opportunity now to pay extra attention. If your goal is to increase traffic to your website (which we think it should be!) then make sure your keywords, tags, descriptions, titles, and content on your pages are working for your business. If you’re not ranking as high with search engines as you’d like, it might be time to overhaul your old SEO tactics and start fresh with these tips! We know that completely changing your website design is a huge undertaking – but small, subtle changes can be made to create a fresh new look without all the stress of a total re-design. Switch up the images on your homepage. Change the names/titles of your portfolios. Add a new page – such as a blog – to your website. All of these changes will keep your website up to date, as well as give returning clients new things to look at and explore. 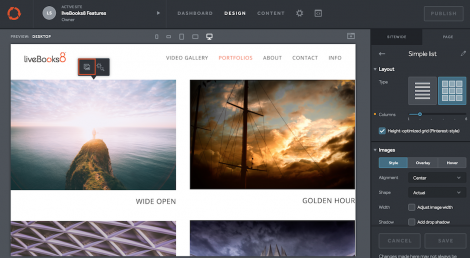 Want to explore other design templates? 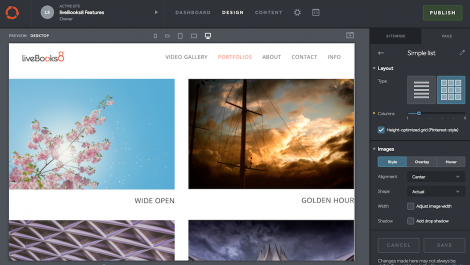 Take a look at all of our responsive templates now to begin! What “spring cleaning” are you conducting on your website? Email us! 11. Paste the HTML code you copied from your WeddingWire account into the HTML box. For more information on how to use this content block, click here! Is there a new liveBooks8 feature that you are excited to learn more about? Let us know at social@livebooks.com! The liveBooks8 platform allows you to swap out images, edit text, and change layout all within the Design view of your website editor. 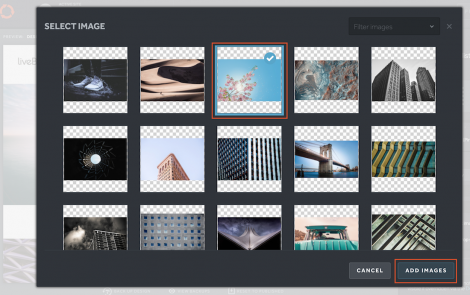 With this tutorial, you’ll be able to swap out images from the design view on your liveBooks8 dashboard quickly and easily. From the main dashboard view, click the design view. Select the page you wish to change images on. Move the mouse over the image you wish to swap out and click the change image icon. 4. You will be prompted to pick the replacement image from the image library. 5. Choose the image you want and click add images. 6. View your changes and click publish! If you have any questions while publishing your site, we urge you to contact our Support team at support@livebooks.com! 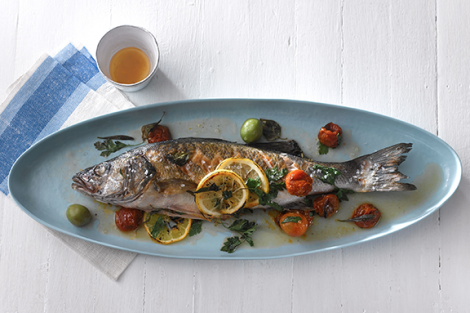 Food photography has come a long way since I came up the ranks as an assistant in Chicago. The food was styled laboriously perfect, and the props covered nearly every inch of the background. I enjoy how the look has entirely loosened up since then. Now, it is appetizing to slightly burn cheese, splash sauce, and show a half eaten plate of food. I also love that a distressed baking sheet makes fabulous background, and national ad campaigns will show their product in to-go containers. It’s my job to find that visually appetizing element. At times, it is very editorial and messy; other clients manage the look of their brand with more restraint. As a food photographer, I need to approach advertising, editorial and packaging with different styles and different teams. Luckily for me, the pool of talented food stylists in Chicago runs deep. With that said, it’s my responsibility to pair the needs of my client with the best stylist and crew for each project. Collaboration between the art directors and my creative team is the key to success at my studio. Aside from the food being styled well, lighting is instrumental to enhancing the appetite appeal of food. My new studio workspace incorporates an 11×14 ft. opaque glass window. The light from that window is just stunning. I often like to accent the daylight with small grid spots to boost color saturation. The grid spots also create specular-highlights that add to the visual impression that the food is moist, hot, and juicy. Mixed lighting, in conjunction with selective focus, are my favorite tools. Another competitive piece of the puzzle is to create a welcoming and comfortable environment for the clients. The agency team and their clients are very busy people, and their work doesn’t stop just because they’re attending a photo shoot. Capture Pilot is an incredible tool to keep the clients in the loop while they work. So adjacent to the client table, I have a 50 inch TV, where the progress of our work is on view. Every one of my clients loves this! 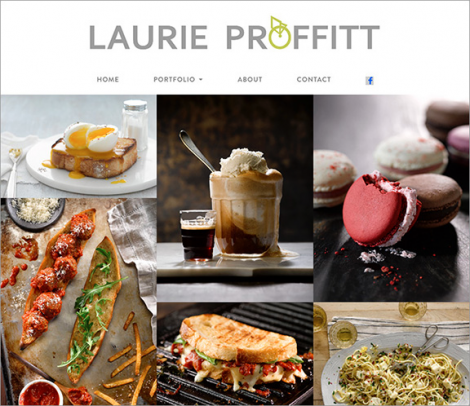 See more of Laurie’s food photography on her new liveBooks8 site at: proffittphoto.com. 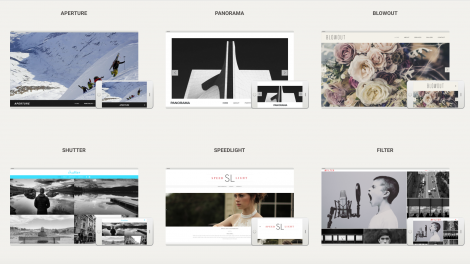 LP: I feel it is essential to show diversity of work on my homepage. Additionally, I want to feature current work here, so returning visitors to my website immediately take notice. 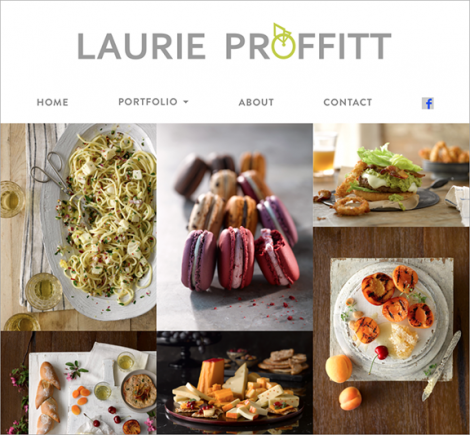 Another objective of mine, as a food photographer, is to showcase a range of food products. My hope is that each visitor to my homepage sees an image that speaks to their needs, so they’ll want to look deeper into my website. With that said, I like to work from a master folder that ‘lives’ on my desktop. I actively add my favorite new images to this folder as they are created. Then, when it comes time to update, my new candidates are easily accessed. From there, my aim is to create a visually interesting sequence of images based upon the rhythm of lighter and darker images and related color themes. Once I am pleased with the presentation, I’ll ask my agent and a few other trusted colleagues to weigh in on my choices. Inevitably, adjustments will be made. LP: I love the Mosaic Gallery layout. I knew immediately that it would give me a dramatically updated look from my previous website with liveBooks. LP: It’s well worth your time to read articles on the subject of SEO. 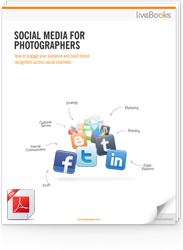 Research the best keywords for your speciality of photography. Be sure to populate all of the SEO info boxes that liveBooks provides. Enter descriptions for every image, submit your sitemaps, update your content regularly and get quality links back to your site….search engines love these things. I’ve had great results by following liveBooks instructions for SEO. It is all about getting more traffic to your website while generating new business.